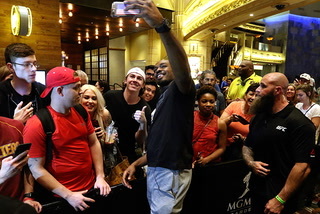 UFC 232 scheduled this weekend in Las Vegas has been moved to The Forum in Inglewood, California, after an irregularity was discovered in a drug test administered to former light heavyweight champion Jon Jones, UFC officials announced Sunday. 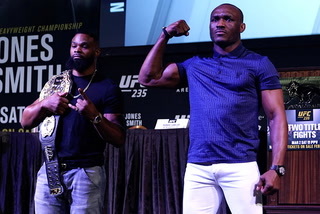 UFC 232 has been moved from Las Vegas to the Forum in Inglewood, California, after an irregularity was discovered in a drug test administered to former light heavyweight champion Jon Jones, UFC officials announced Sunday. 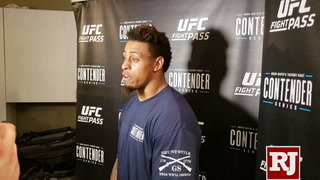 The move followed a Nevada Athletic Commission statement that it would not be able to independently review the case in time to determine whether Jones should be licensed for Saturday’s title fight against Alexander Gustafsson at T-Mobile Arena. NAC officials said that they had been informed of the specifics of the out-of-competition test results and that Jones agreed to appear at an evidentiary hearing in January. “This will allow for a measured, thoughtful and comprehensive discussion of his anti-doping testing protocol and results and provide an opportunity for the NAC to determine the appropriate path forward for him in Nevada,” the statement reads. Losing the card could have an economic impact on Las Vegas tourism and gaming dollars during the weekend before New Year’s Eve celebrations across the valley. UFC 232 also features a women’s featherweight title bout between champion Cristiane “Cyborg” Justino and bantamweight champion Amanda Nunes. 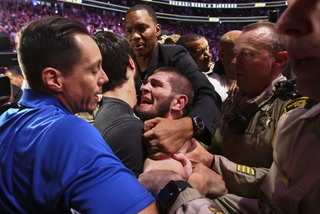 The last UFC pay-per-view event at T-Mobile Arena, in October, drew 20,034 fans and a live gate of $17.2 million as Khabib Nurmagomedov defeated Conor McGregor to retain the lightweight title. 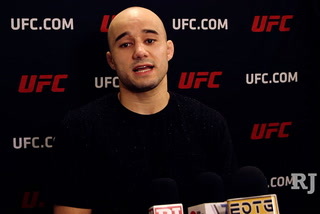 It will mark the first time the UFC will not host a New Year’s weekend card in Las Vegas since the end of 2005. 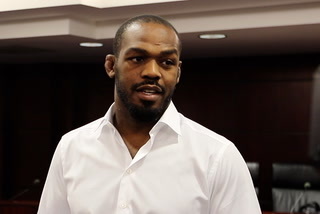 Jones was also involved in the last major Las Vegas event that was canceled, when he declined to take on a replacement opponent eight days before a planned UFC 151 card in 2012. 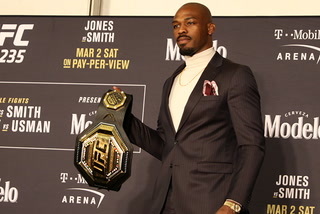 Jones’ latest issue came to light when the U.S. Anti-Doping Agency revealed that there were trace amounts of a banned substance in a sample collected from him Dec. 9. USADA consulted with scientific experts and literature before determining that the amount of oral turinabol, one-50 millionth of a grain of salt, was so minute that it represented residuals of a prior issue instead of a reingestion, and that to sanction him again would represent double jeopardy. 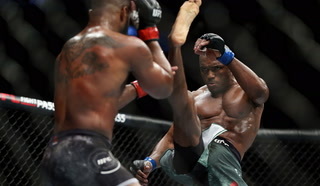 “USADA has concluded that consistent with the prior finding by the independent arbitrator, at these extremely low levels, Jones obtained no performance enhancement from this level,” an agency statement reads. “The level reported was at approximately 60 pg/mL and there was no parent drug or other metabolites of the drug in his sample. As a result of these findings, USADA has determined that Mr. Jones is not facing a violation per the UFC Anti-Doping Policy. The UFC endorsed USADA’s findings. 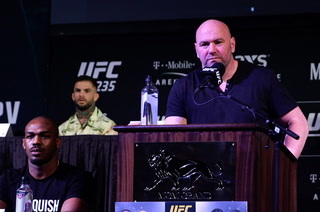 “Let’s make this clear: This is not another violation,” UFC vice president of athlete health and performance Jeff Novitzky said on “SportsCenter.” “Both USADA and worldwide anti-doping experts told us this was not a reingestion of a prohibited substance. It was remaining effects from the July 2017 positive test, for which he was already sanctioned. It’s the same substance Jones tested positive for in 2017 that led to a 15-month suspension, from which he is set to return Saturday. 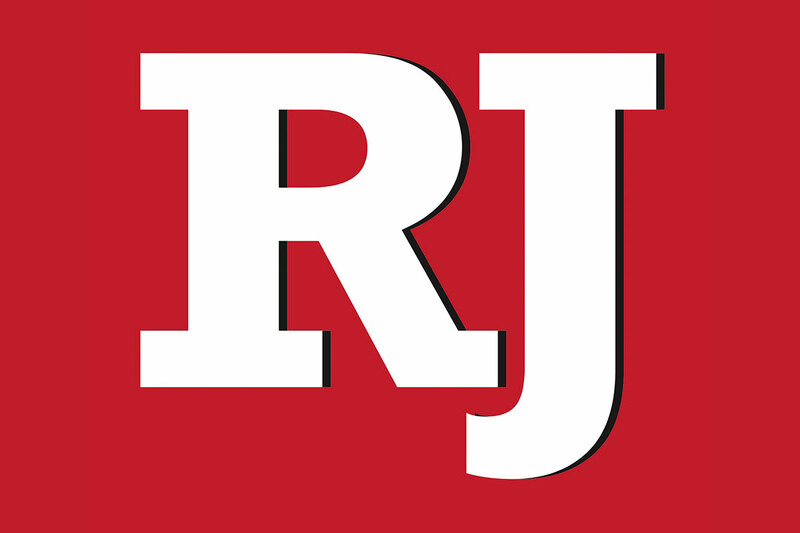 The NAC planned to administratively issue Jones a license this week, but there wasn’t enough time to analyze the new information, particularly during a holiday week with several members out of town. 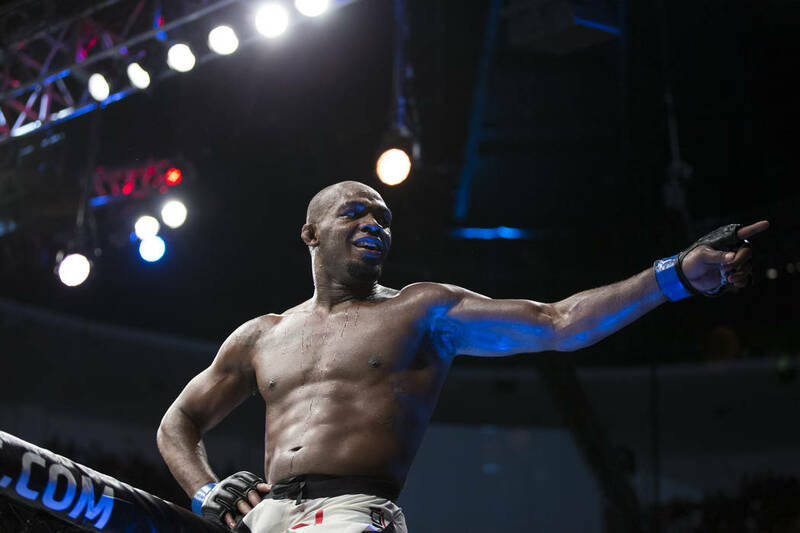 “Unarmed combatant Jon Jones will be allowed to withdraw his pending application for licensure, which was intended to clear him to fight in a major contest in Nevada later this month,” the NAC said in its statement. 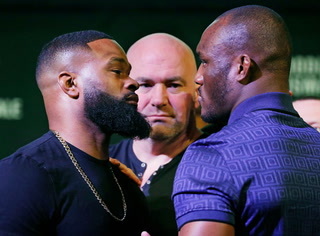 “I have willingly submitted to every USADA test in the lead up to this fight and USADA has confirmed what I’ve been saying all along, that I’m a clean athlete,” Jones said in a tweet Sunday. Tickets are now expected to go on sale Wednesday, with refunds offered to those who purchased tickets for the event in Las Vegas. The organization will work to accomodate transfers for those who still want to attend the event in Los Angeles. Jones’ biggest rival wasn’t buying the explanation. “He tested positive again!” Daniel Cormier posted on Twitter. Cormier currently holds both the heavyweight and light heavyweight titles, but the UFC previously announced it would strip the light heavyweight belt and award it to the winner of the fight between Jones and Gustafsson. Jones has been suspended twice in the past for failed PED tests. He also had a test come back positive for cocaine, but it was out-of-competition and didn’t result in a sanction. 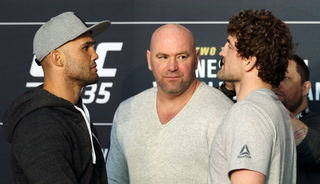 MGM Resorts sports books will refund any wagers that were made on UFC 232 at T-Mobile Arena now that the event has been moved to the Forum in Inglewood, California. House rules state that if the event site changes, all bets placed at the first site will have no action and will be refunded. MGM has had odds up on the Jon Jones-Alexander Gustafsson and Amanda Nunes-Cris “Cyborg” Justino matches for more than a month.